Paved outdoor are always good to feel the fresh open environments and have always been good for sitting to outdoor lovers! 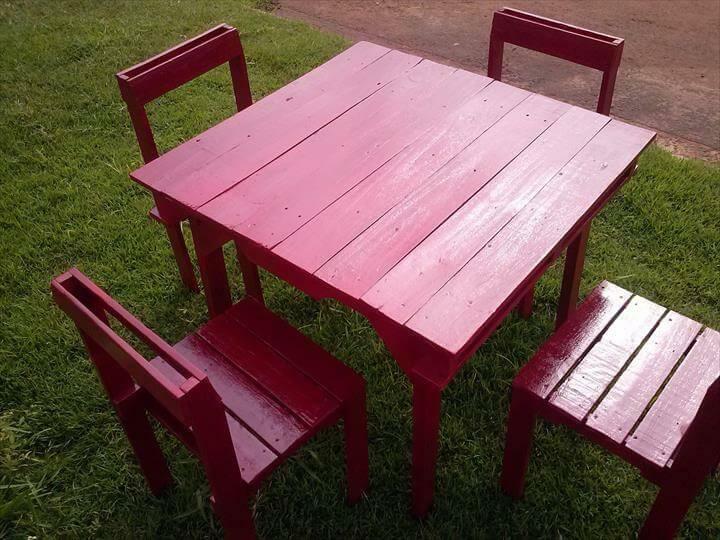 If you also want to make an exclusive part of your home exterior, garden or backyard specified for relaxing and sitting then just put some chairs and benches there with a table at the center of them, not having all this? Then how to organize you patio for comfortable sitting? Don’t worry, pallets are here that are so handy and feasible to work with that you can plan anything or any home furniture element out of them. 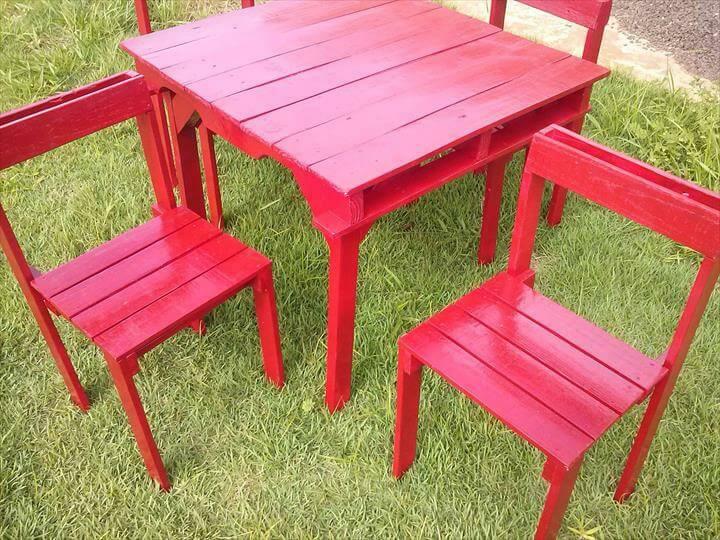 This pallet red painted outdoor sitting furniture has also been done with pallets, an all time available free source of sturdy wood! 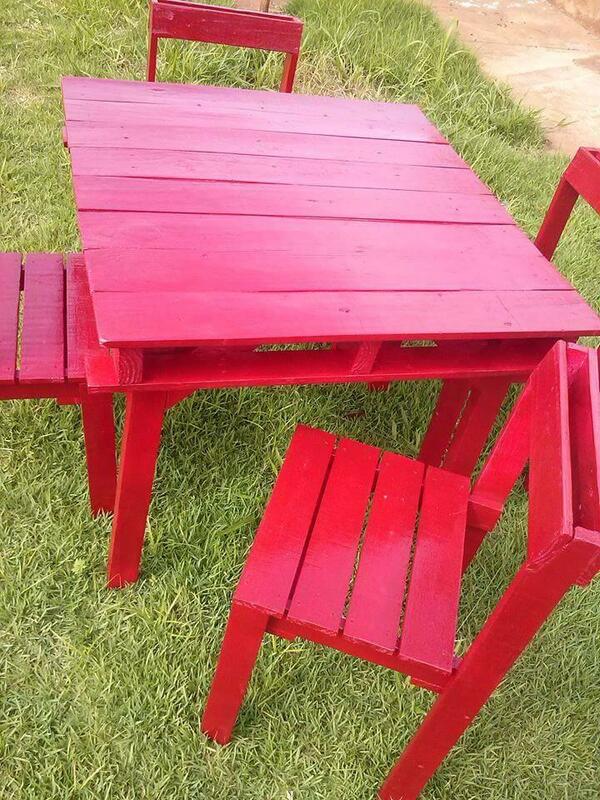 There is nice squared topped DIY pallet table at the center that can accommodate 4 sitting chairs to be around for sitting! 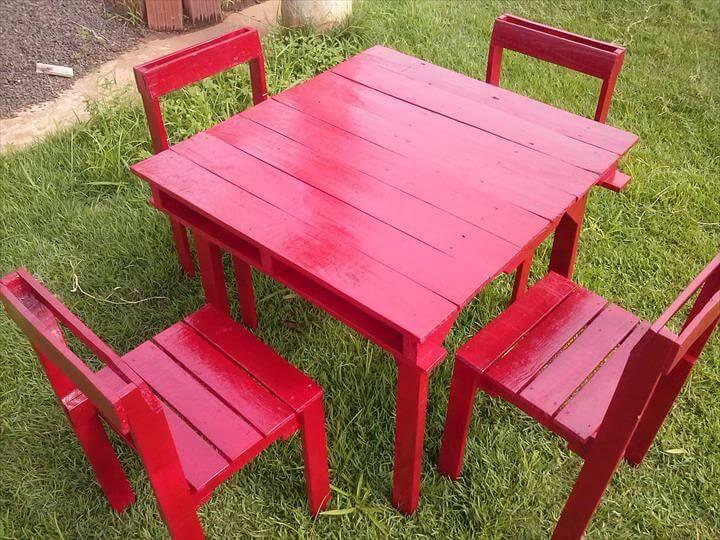 Such pallet sitting furniture plans can really give noticeable and enticing indoors and outdoors to a home and you can even make you garden, lobbies and backyard more comfortable with the help of them!